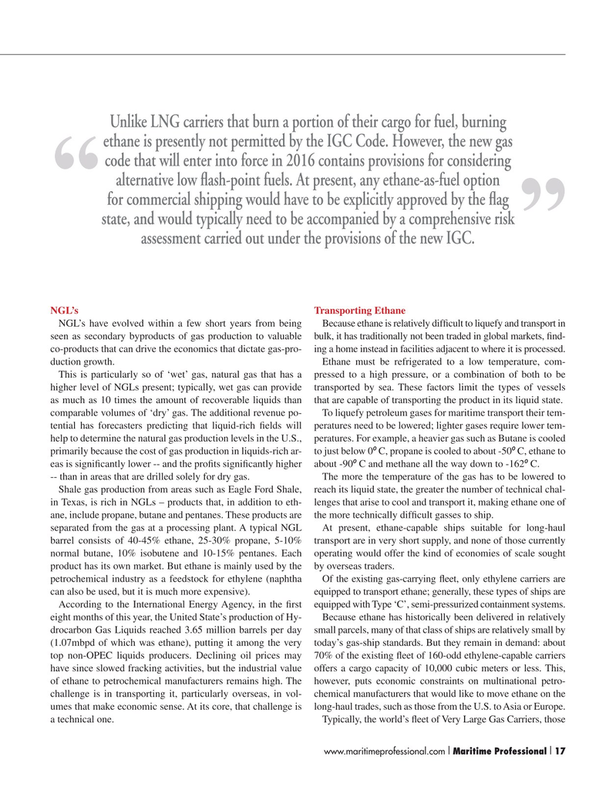 Unlike LNG carriers that burn a portion of their cargo for fuel, burning ethane is presently not permitted by the IGC Code. However, the new gas code that will enter into force in 2016 contains provisions for considering alternative low ? ash-point fuels. At present, any ethane-as-fuel option “ for commercial shipping would have to be explicitly approved by the ? ag state, and would typically need to be accompanied by a comprehensive risk ” assessment carried out under the provisions of the new IGC.